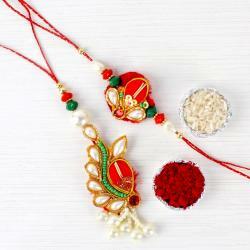 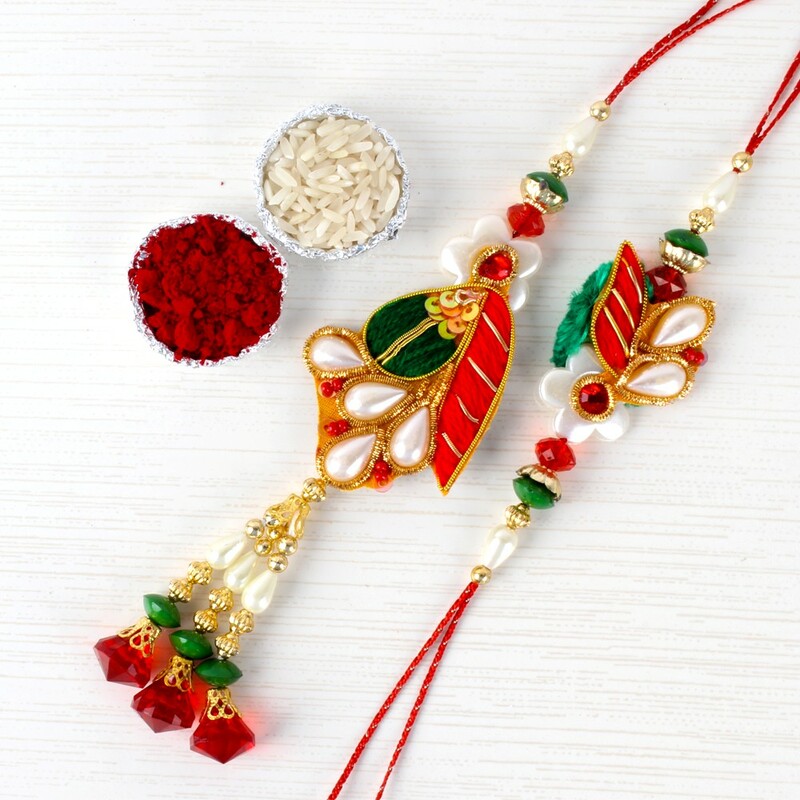 Set your bond of love with your brotherand make it even stronger on this Raksha Bandhan as you surprise him and leave him awesome Rakhi with amazing Rakhi from giftacrossindia.com and this Rakhi includes woolen zari work with Drop Shape Beads. 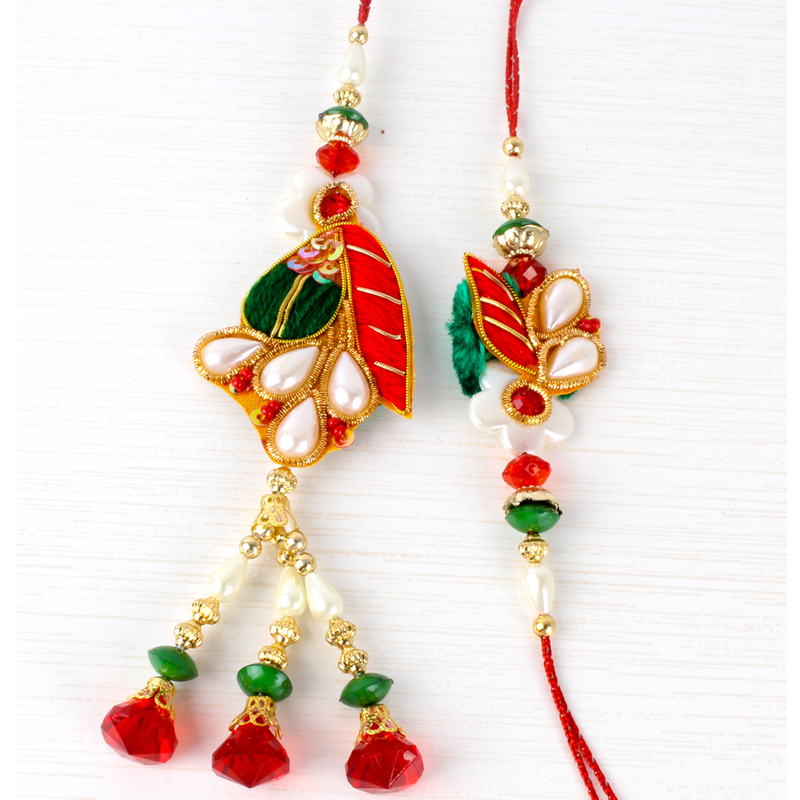 Grace the jubilance of this Rakhi festival for your dear bhabhi ji by gifting this exotic grace of Lumba adorned with zari tikli work and drop Shape Beads, dangling colored beads and latkans. 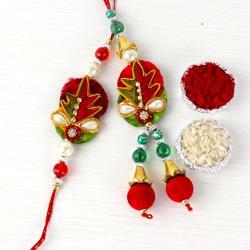 Traditional Bhaiya Bhabhi Rakhi made out of woolen zari tikli Work with drop shape beads with lovely latkans in Lumba Rakhi along with Packet of roli chawal.